Plantar fasciitis is the most common mechanical problem that I see in clinic affecting all ages. The Plantar Fascia is a thick tight band that runs from the heel bone to the ball of the foot that forms the arch of the foot. Unlike muscle tissue, the plantar fascia is not very elastic and is designed to hold the arch, not elongate or stretch it. Plantar fasciitis is when the fascial band is over stretched, causing pain and inflammation along its length. 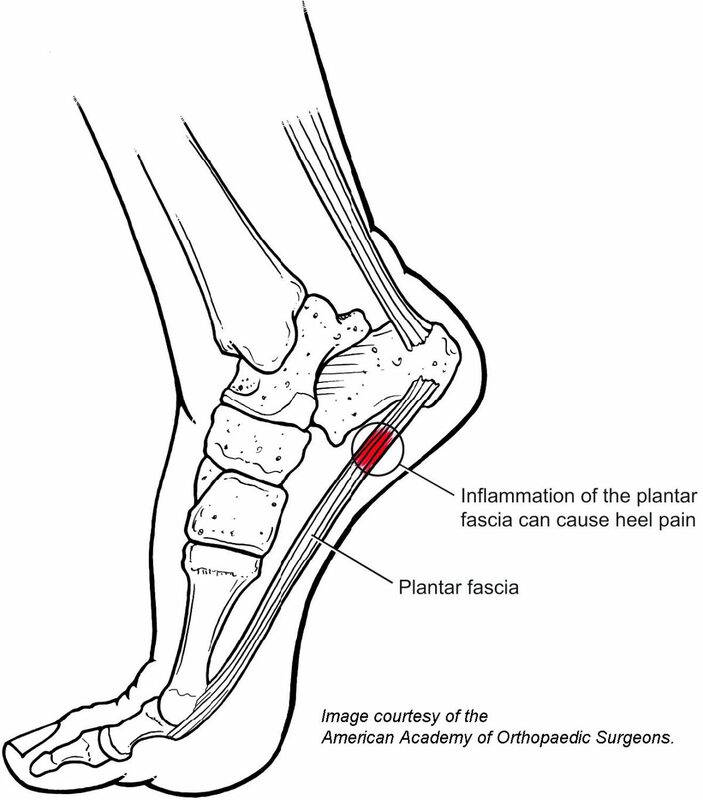 In many cases, plantar fasciitis is associated with a heel spur. The spur itself does not cause pain, and may often be found in the other foot without symptoms. Commonly seen in occupations that walk or stand on hard grounds for long periods like; warehouse workers, shopping centres staff. Over-use; such as sports, running, walking or standing for long periods that place a lot of stress on the plantar fascia. Sudden increase in activity and “ too much too soon”. Flat feet/ over pronated feet that causes elongation of the plantar fascia. Weight gain: an increase in weight places grater mechanical load on the plantar fascia. It is vital to address and manage the cause for long term relief. Your Podiatrist is expert in the management of Plantar Fasciitis. Orthotic therapy, such as proper insoles. There are good quality medical grade prefabricated orthotics available, then there are custom orthotics that your Podiatrist can prescribe. For minor cases, shock absorbing silicone heel cups can be tried also.